What Do You Need To Do To Become A CPA? There's a lot to learn in the process of becoming a CPA and getting your license depends on more than just sitting for the exam. There may even be some differences depending on what state you are in. Before we dig into the details, let's cover some of the basics. Someone can be an accountant without being a CPA, but all CPA's are accountants. 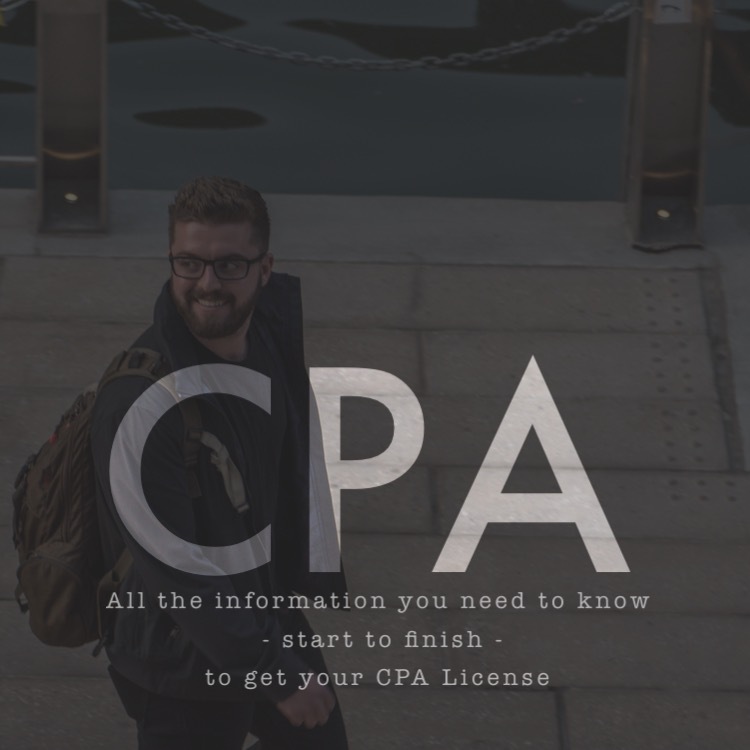 CPA stands for Certified Public Accountant and means that the person with that title has passed the CPA Exam and thus can be a trusted advisor to help individuals, organizations, and companies thrive financially. A CPA may specialize in different fields of accounting but can always be depended on as decision makers, advisors, tax experts, and much more. What does it take to earn your CPA? Some states have unique rules and laws determined by the State Boards of Accountancy, but there are three things every CPA needs to check off their list. Every CPA will need the education to sit for the CPA Exam, to pass the CPA Exam, and have enough experience to apply for their CPA License. What education does a CPA Candidate need? The education aspect can change depending on the state the student lives in, but generally, a CPA needs to have 150 semester hours to have gotten their license. However, to sit for the CPA Exam you may need less, such as in Alabama where you only need 120 hours. Even when you have enough hours of education to sit for the exam doesn't mean you should sign up for the test yet. You'll want to study first. How do you pass the CPA Exam? To pass the CPA Exam you will need to take all four sections which consist of Auditing and Attestation (AUD), Business Environment and Concepts (BEC), Financial Accounting and Reporting (FAR), and Regulation (REG). The test itself consists of multiple choice questions, simulations, and written portions. To pass you have to get a score of 75 or above on a grading scale from 0-99. While states have different requirements to sit for the exam, all students no matter where they take the exam will be taking the same test. It is important to note that the AICPA does provide blueprints for the contents of each test. What does studying for the CPA Exam entail? If this part was easy there would be a lot more CPAs in the world. However, don't let people make it sound too difficult. Yes, the passing rates for the CPA Exam are relatively low, but the standards are high for those entrusted with the financial aspects of our world. The best way to help you pass efficiently is to study with a CPA Review company. The pass rates when you study with someone's materials and take their courses are much higher than doing your best on your own. There are many options in CPA Review materials and you can even get access to practice questions, quizzes, and exam simulations. You'll also want to make sure you can connect with CPA Exam advisors and professors who can walk you through difficult concepts and sections of studying, but also be there for you when you need a bit of encouragement. What experience do you need to get your license? Again, this depends on the state, but most require you to have 1-2 years of experience under a CPA. Factors such as working for a public accounting firm or industry, being an auditor, or having your graduate degree can change things as well. Even after this experience, you'll still need to apply for your license. How do you get your CPA License? First of all, you'll want to review your state's requirements to make sure you've met the state-specific education, exam, and experience requirements. Then, you'll want to see if the state requires an ethics exam. Finally, you can apply for licensure through your state board of accountancy. Do you need to maintain your CPA License? You will need to attain 40 Continuing Professional Education credits every year after getting your CPA License. There may be more requirements based on your field, area of work, and ethical or compliance training, but this is something which may change year to year. Just remember you will need the 40 credits each year. What more can I do after meeting all these requirements? Well, the good news is you've hit the home stretch here. You have your license and merely need to retain it. However, you can join your state's CPA Society as well as the AICPA. Interacting, volunteering, and staying up to do date with these organizations is highly recommended and will do nothing but better your skills, connections, and potential as a CPA. Check for specifics to see if your field, education, or auditing work change requirements.